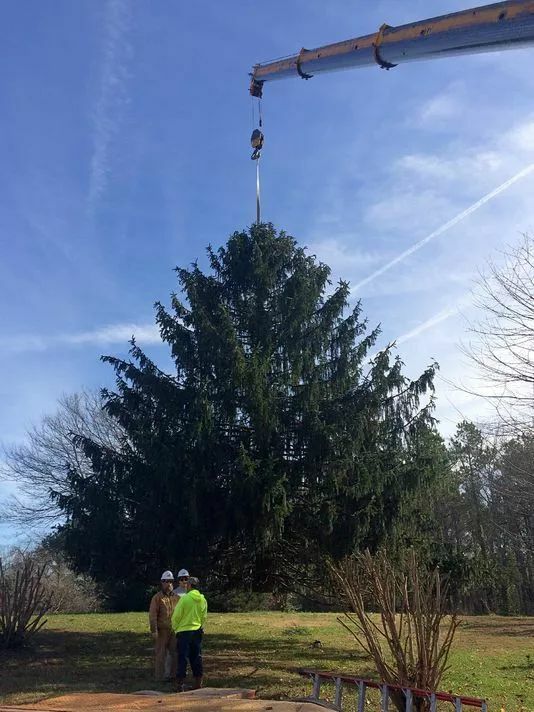 On Monday morning, crews with Clark Crane Co. and The Parke Company cut the tree while it was held by a Liebherr Crane supplied by Maxim Crane in the Chestnut Street subdivision. The crane and other large vehicles caused the street, located off Highway 47, to be closed for a few hours. 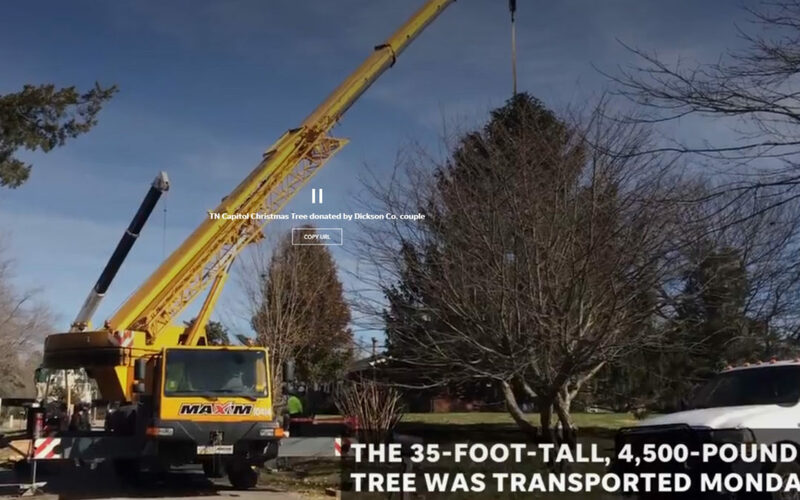 The Mazzo family decorated the tree for years until it grew into its current behemoth proportions of 35 feet tall and 4,500 pounds. “This past year (the Mazzos) decided to see if the state was interested in using it as the Capitol tree, and they contacted us and offered to donate,” said Dave Roberson, a spokesperson for the state. Installation of the tree will begin 9 a.m. Tuesday on the south side of the Tennessee State Capitol building, facing Charlotte Avenue.